The reassurance of MedicAlert® Safely Home®. If your loved one ever goes missing, we're their lifeline home. People with dementia can become lost, even in familiar places. If you care for someone with Alzheimer's disease or other dementias, your greatest fear is your loved one going missing or coming to harm. 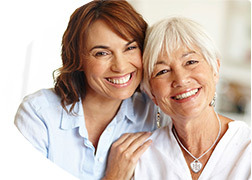 With MedicAlert® Safely Home® protection, there's an effective way to help bring your loved one ... safely home. MedicAlert speaks for those who can't. 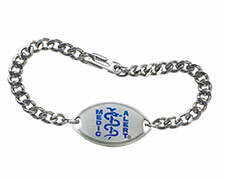 Critical information and our 24/7 Emergency Hotline number are engraved on the unique MedicAlert blue bracelet worn by the person with dementia. Should they ever go missing, police can quickly identify them by calling us. People with dementia can become disoriented even in familiar places. When called, the 24/7 Emergency Hotline specialists immediately contact family members and caregivers to let them know the situation and location of their loved one, reducing anxiety for everyone. Your loved one's identification, health records, up-to-date photo, wandering history and emergency contacts are available to emergency responders and police through our 24/7 Emergency Hotline, where calls are answered by a live agent. With MedicAlert Safely Home, everyone will sleep better. Sign Up your family member now. It's one of the simplest things you can do for someone living with Alzheimer's disease and other dementias. MedicAlert Safely Home has the power to save their life. For only $60*, receive one year of MedicAlert protection, a FREE MedicAlert Blue Stainless Steel ID, FREE registration and FREE shipping. To begin please select one of the two free products to the right. 1Call 911 or your local police. 2When police arrive, have relevant information ready such as a photo, description of what the registrant is wearing, colour, make and license number of the car if they are driving. Keep this information up to date on your MedicAlert profile so it’s in one easy place to retrieve. 3Inform police that the person has a MedicAlert ID. The police can access the 24/7 Emergency Hotline for details on vital information, including wandering history and personal attributes, for example their age and hair colour. 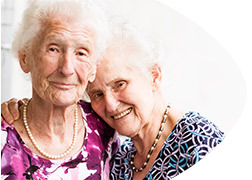 *Safely Home® is a registered trademark of the Alzheimer Society of Canada. Charitable registration number: 11878 4925 RR0001. *Price includes applicable taxes, registration, shipping & handling. Available to subscribers with dementia only. Limit 1 per subscriber.